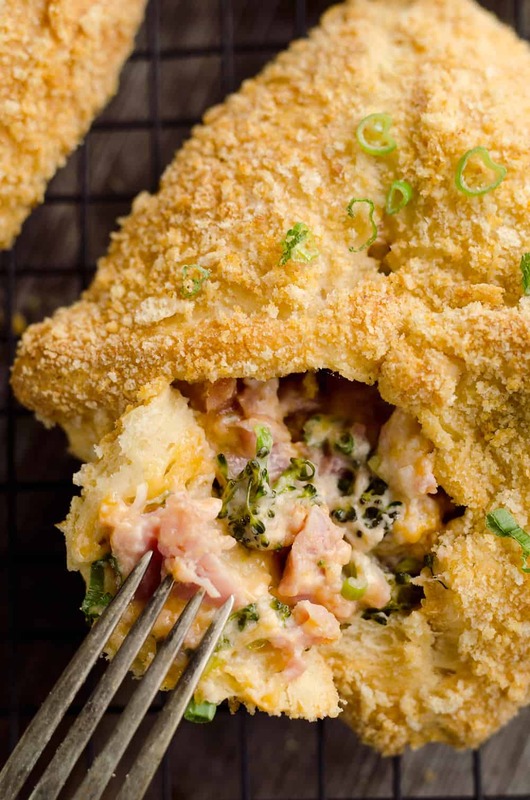 Cheesy Hot Ham & Broccoli Crescent Pockets are a family friendly dinner idea perfect for using up leftover ham! 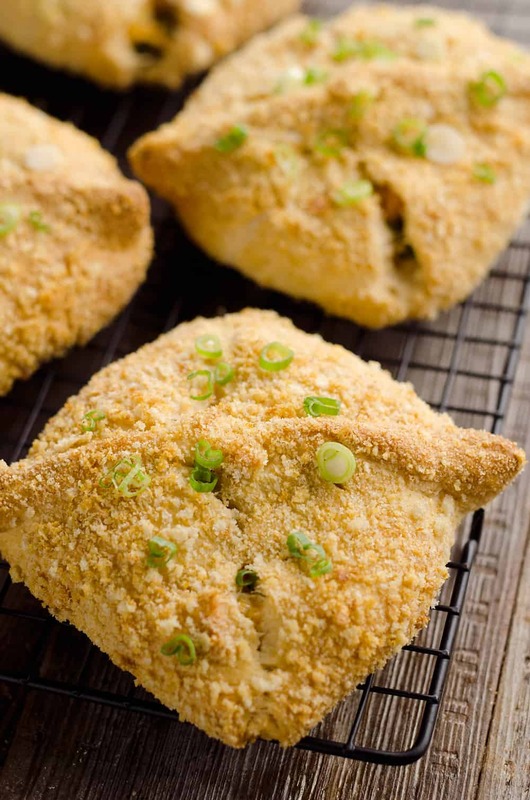 Flaky crescents are filled with a cheddar, broccoli and ham mixture and topped with buttery croutons for a mouthwatering recipe everyone will devour. 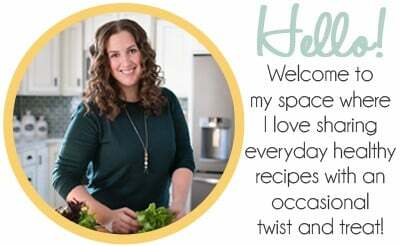 Do you have those meals that are childhood favorites and bring back so many amazing memories? I know I do! 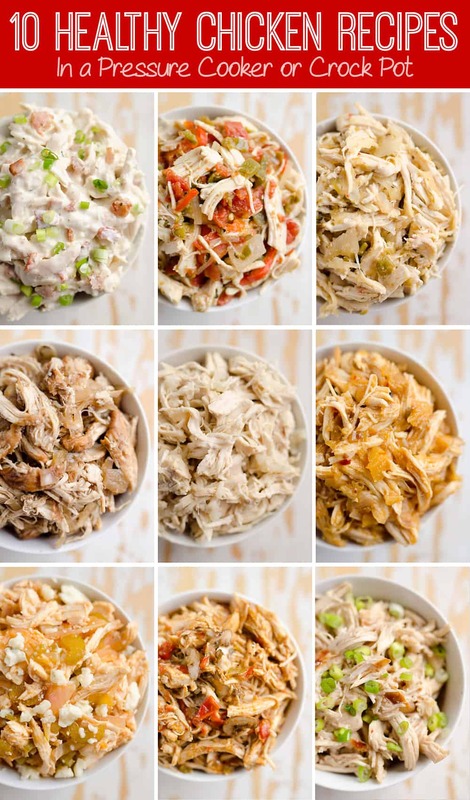 Whether it is Chicken Cacciatore, Taco Pie or Chicken Crescent Squares, if my mom makes one of these meals I am one happy girl! I decided to put my own spin on the chicken crescents and use up some leftover ham. 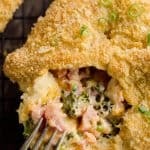 These Cheesy Hot Ham & Broccoli Crescent Pockets turned out to be a wonderful adaptation of the classic we grew up with. Even my parents, who aren’t big fans of anything new, loved them! To get started, grab a tube of crescents. I personally prefer the Pillsbury Grands Big & Buttery Crescents. I believe these are pretty new, because I don’t recall seeing them before. They are a little bit thicker and even flakier than the traditional crescents. SO GOOD! Unroll the crescents into four triangles and press together the diagonal perforations so they are sealed tightly. In a bowl, you will want to beat the cream cheese, butter and milk until it is smooth. Fold in the cheddar cheese, ham, broccoli and spices. When chopping the broccoli up, I didn’t use any of the stalks, but that is just a personal preference. Be sure all of the broccoli is finely chopped though. Divide the ham mixture over the four crescent rectangles and carefully join the seems at the top to create a squares. At this point, you might be thinking there is too much mixture for these small crescents. Just trust me here and patiently work the mixture to fit inside the squares. This is the point of the recipe where you can take out some pent up anger. 🙂 Toss the croutons in a resealable bag and go to town on them with a rolling pin. Crush them until they are a fine even texture. After all the pockets are sealed up it is time to brush them with melted butter and dip the tops in the crushed croutons. 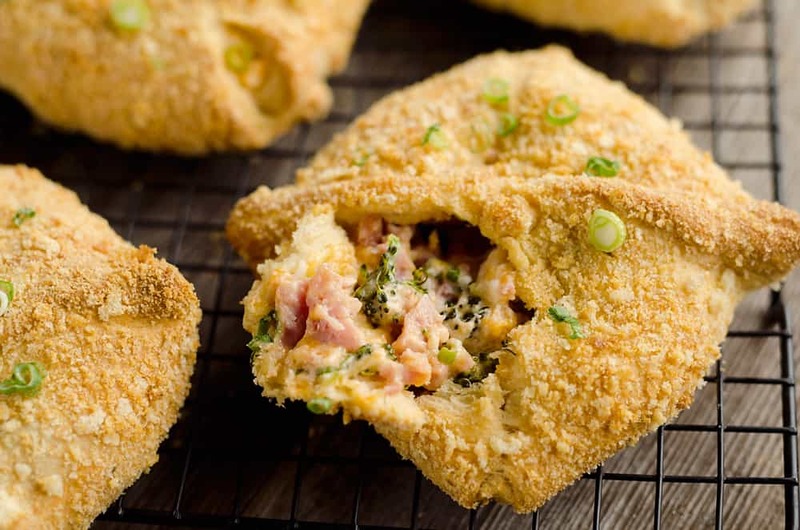 Place the finished Cheesy Hot Ham & Broccoli Crescent Pockets on a light colored cookie sheet and bake for 20-25 minutes. Serve them fresh out of the oven, but be careful because they can be pipping hot inside! I promise you this is a recipe you need to give a try. 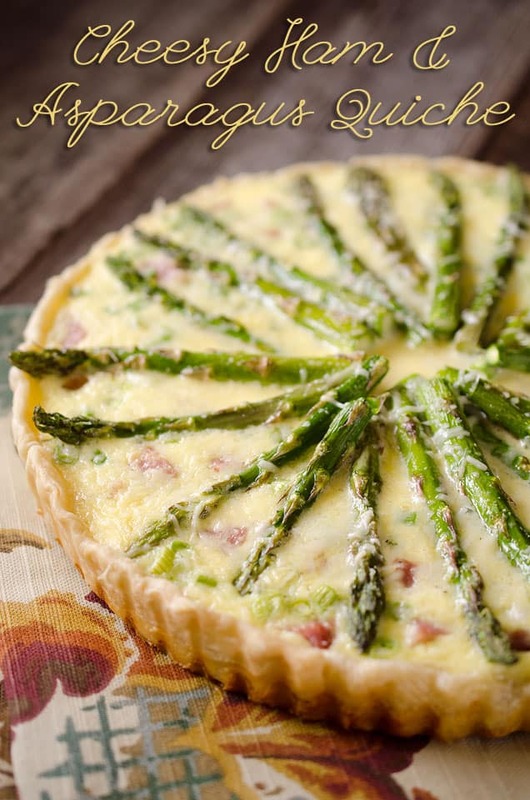 They are such a delicious dinner idea that the whole family will devour. 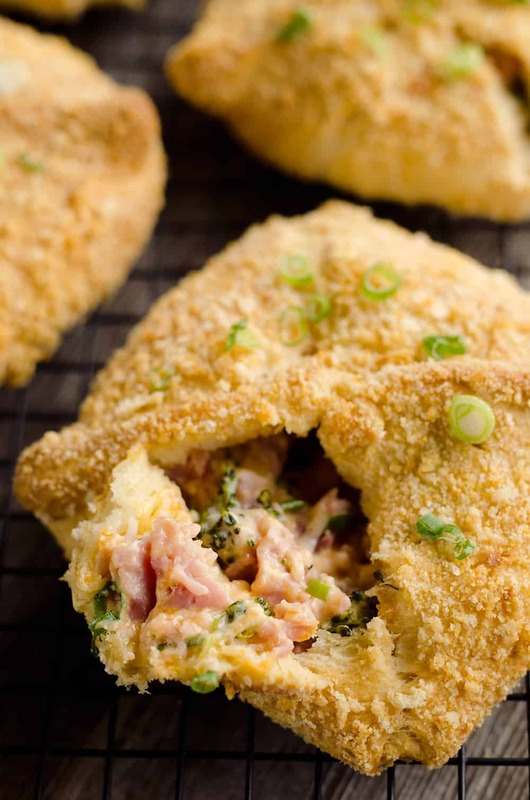 Cheesy Hot Ham & Broccoli Crescent Pockets are a family friendly dinner idea perfect for using up leftover ham! 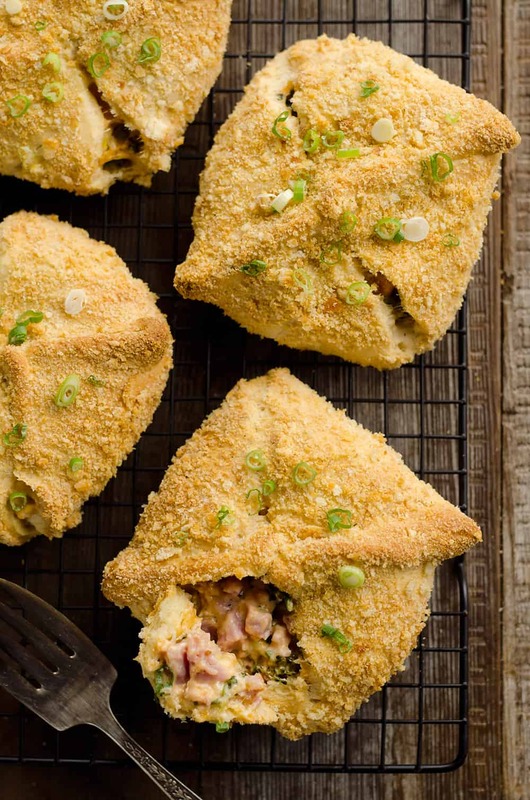 Flaky crescents are filled with a cheddar, broccoli and ham mixture and topped with buttery croutons for a mouthwatering recipe you will adore. 1 tube refrigerated crescent rolls Pillsbury Grands Big & Buttery Crescents are the best! In a medium bowl, blend 2 Tbsp. melted butter, milk and cream cheese until smooth. Add the next 6 ingredients and mix well. Separate the crescents into 4 rectangles and firmly press together the perforations to seal. Pull the four corners of dough to the top center of the ham mixture. Press the edges together and seal with your fingers to create a square pocket. Brush the tops of the crescent squares with the remaining Tablespoon of melted butter. Dip the top of each square in crushed crouton crumbs. Bake on a light colored cookie sheet for 20-25 minutes at 350°F, or until they are golden brown. 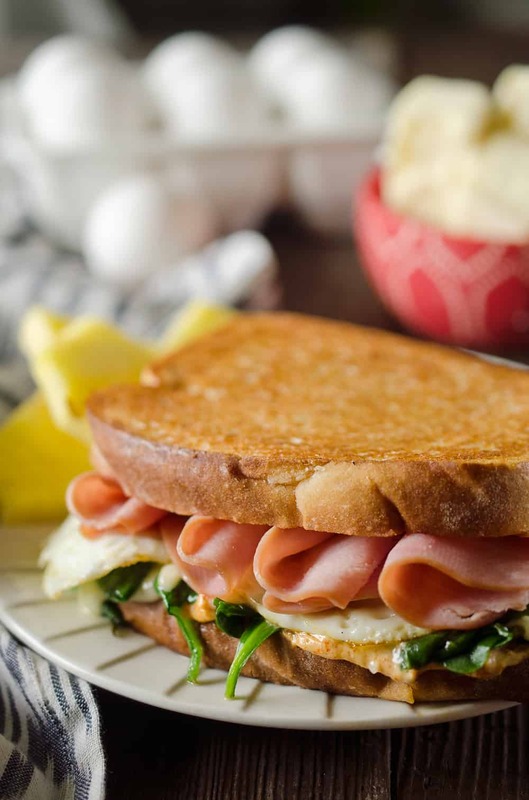 More great recipes using leftover ham! OMG these look incredible!! Ham and cheese and broccoli sounds amazing. I love ham and cheese but always feel it needs a little green or contrast. This is perfect! Wish there was a 1/2 star option, because this was a 3.5 in my book. Made this last night with leftover Christmas ham. My husband and son loved it, however I thought it was too rich. I suggest substituting the cream cheese with 0% fat Greek yogurt to get the creaminess without the heaviness of cream cheese.